Hi! 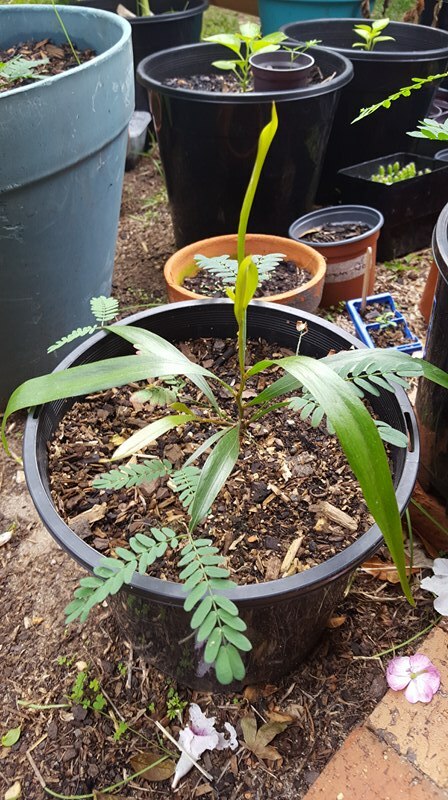 I was wondering if someone with experience in growing Acaica's could tell me when they prefer to transplant them into the ground. 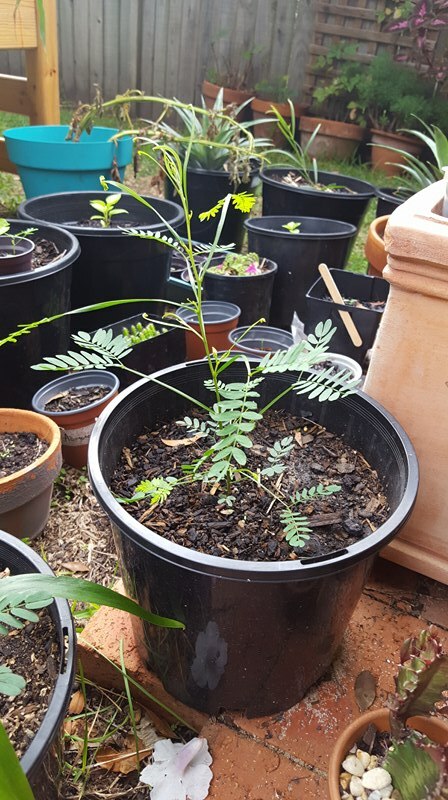 I have a ~50cm obtusifolia sapling doing pretty well with 10 or so phyllodes in a huge pot. I just want to do what's best for the plant. I'd usually transplant earlier than that. Say at 4-5 true phyllodes. However, transplanting a small plant from a large pot makes the job a bit awkward. You risk the root ball falling apart and damaging the roots. If it was me I'd start them in a smaller pot (Like the little orange pot sitting in the big pot) and when you see a root pop out of the drainage holes, whack it in the ground. 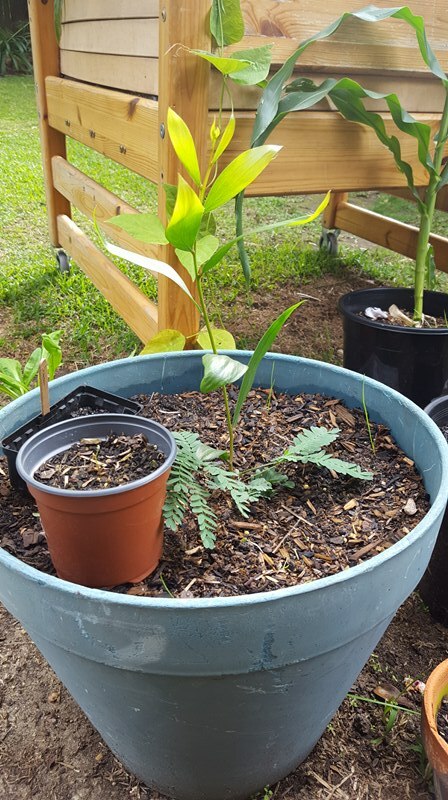 As it is now, the plant looks pretty healthy so you could leave it in the big pot until the roots are developed enough to hold all that soil together, then plant it in the ground. I'll keep the big one growing for now and when growth slows down I'll plant it out.